A reproduction print from the original Vanity Fair print of 1900 published by March Publications. 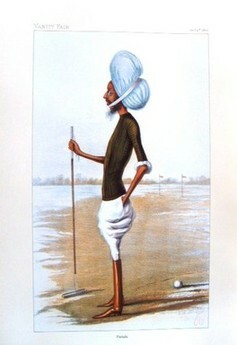 Patiala was a famous polo player and cricketer. Print Size 36cm x 22cmapprox. In ivory coloured mount.